Los Angeles Eviction Defense Lawyers can help in your David vs. Goliath fight against your Landlord! The Law Offices of Vincent W. Davis represents tenants threatened with eviction in Southern California including Los Angeles & Orange Counties from our local offices and ALL tenants in California by phone, email, fax and FedEx. 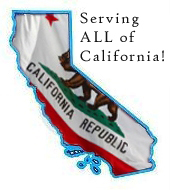 We use the power of the law to protect the rights of our California clients. We are committed to providing forceful representation with the goal of always being attentive to our clients’ goals and needs. An eviction lawsuit is called an unlawful detainer. California law clearly spells out when and how a landlord can undertake an unlawful detainer action. While some landlords act lawfully, others do not. Even when a landlord is generally following the various statutes, there may be a fatal flaw in the landlord’s action that will unravel the unlawful detainer action. Attorney Vincent W. Davis and his Tenant’s Rights Associates understand how to successfully challenge eviction proceedings, and will do everything possible to help you stay in your home or apartment. Depending on your case, there may be multiple ways to defend an unlawful detainer action. We will look at every aspect of your situation and build a strong and persuasive case to stop the eviction process. There are very short time windows in eviction cases and the legal eviction process is complicated. Along the way there are many possibilities for negotiations and ways to make the law work in your favor. As in most legal proceedings, the sooner we get started on your case the better the results. If you have been served with an unlawful detainer summons and complaint, you have exactly FIVE calendar days to respond. Failure to respond within the time limit will lead to the sheriff forcefully removing your from your home about five days later, unless you take immediate legal action. Attorney Vincent W. Davis or his aggressive crew of 4 full-time Tenants Rights Lawyers will respond quickly on your behalf. In some cases, we may be able to stop the eviction proceeding by merely informing the landlord why the unlawful detainer notice is defective. In other cases, we will have to aggressively assert your legal rights. Even if you have been already been served with an eviction notice, it is not too late. We can seek a stay and may be able to prevent you from being evicted. While non-payment of rent is a common cause of an unlawful detainer, the landlord may also want to evict you in order to rent the apartment at a higher rate or create a condominium unit that will be offered for sale. In these cases, the law has clear restrictions on how a landlord can proceed. We may be able to use the law to protect your home.